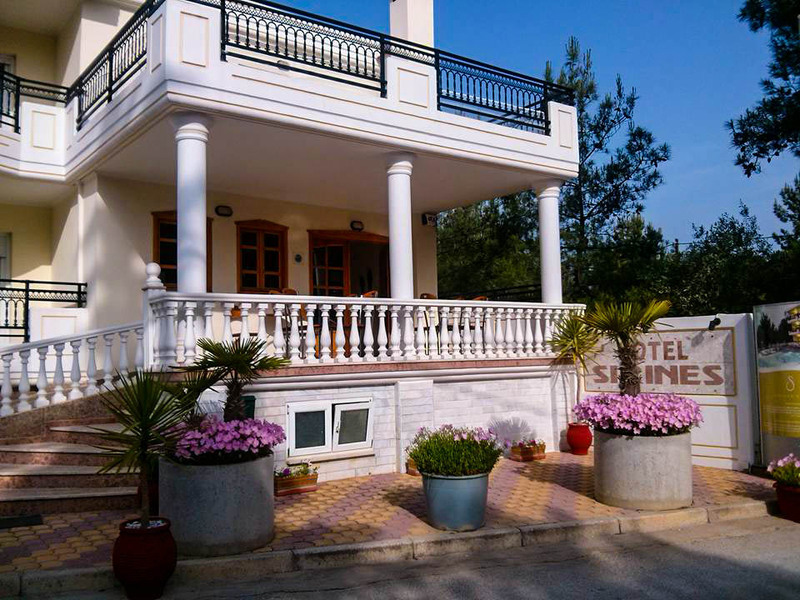 Hotel Sirines is conveniently located less than 200 meters from the beach and just as much from the center of Potos town. It is an excellent choice for all who want a comfortable and pleasant stay in an environment that promises quality both in space and its services. 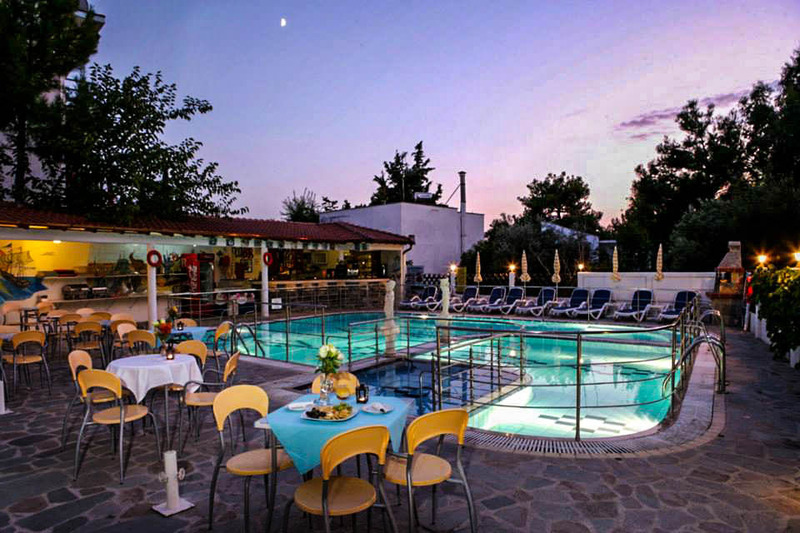 Featuring a swimming pool with hot tub, pool snack-bar and barbeque nights, Hotel Sirines also offers spacious studios and one apartment. All of the rooms are newly renovated and feature traditional furnishings and all modern conveniences as well as basic kitchen facilities, for those who wish to do some of their own cooking. Exemplary B&B and half board accommodation with excellent location, allows guests short walk to the centre of Potos or beaches nearby, whilst still enjoying peace away from the crowds. Only few minutes away from the hotel there are three beaches you can enjoy. 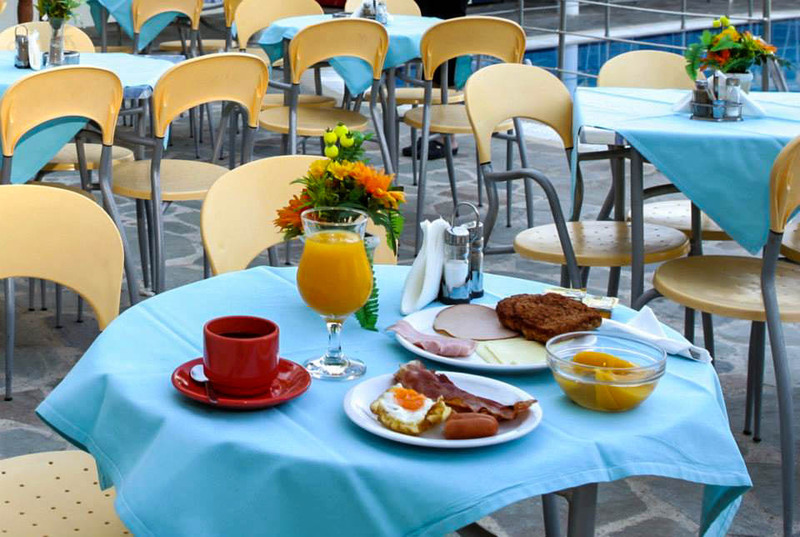 Immediately opposite the hotel, there is unrestricted, on-street, public parking. 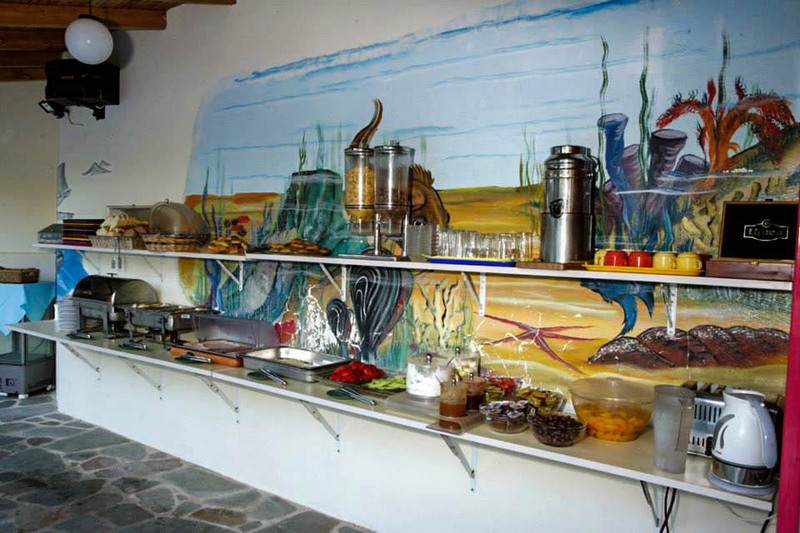 All guests of the hotel have special discount on all sea sports and water games at Albatros Water Sports in Pefkari. If you travel with your pets, please ask for this possibility when making the reservation. 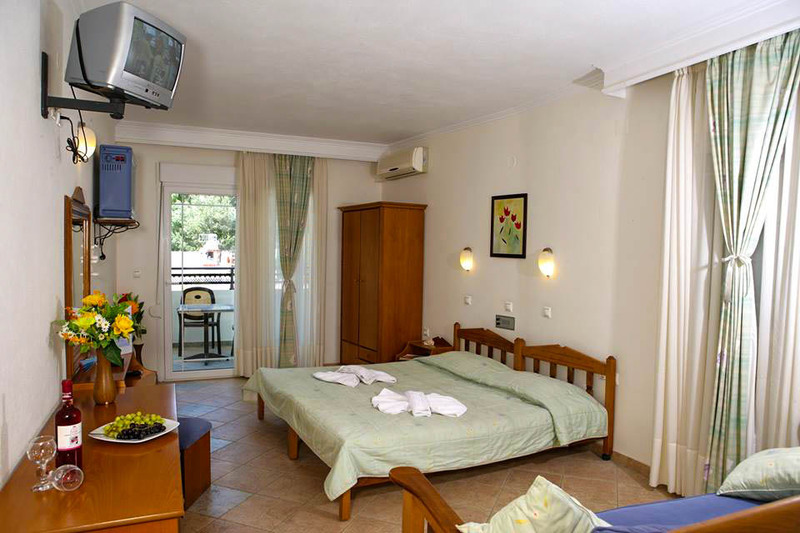 Studios are spotless clean, spacious and comfortable, with large twin bed and a sofa bed suitable for two people. Each studio can accommodate 3 adults or 2 adults and 2 children until 12 years old. All of them include a kitchenette, free A/C, private bathroom and a terrace overlooking the forest, swimming pool or the sea. 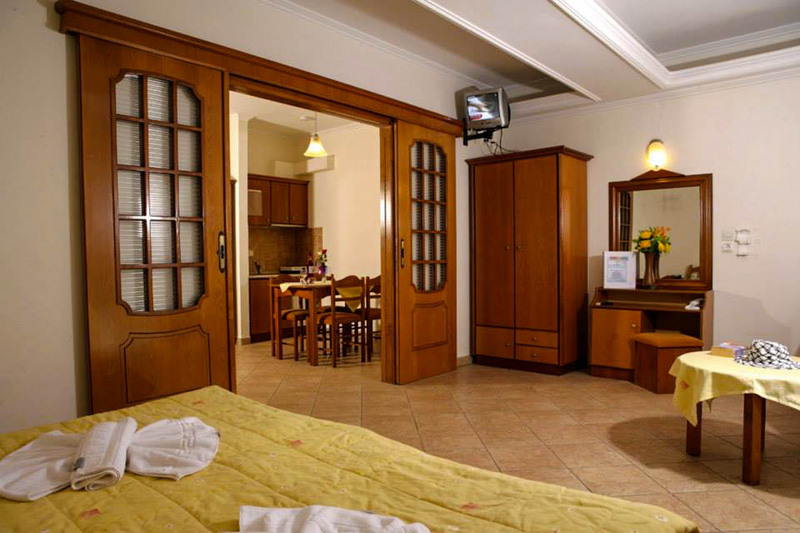 The apartment is 50 square meters and can accommodate up to 5 people. 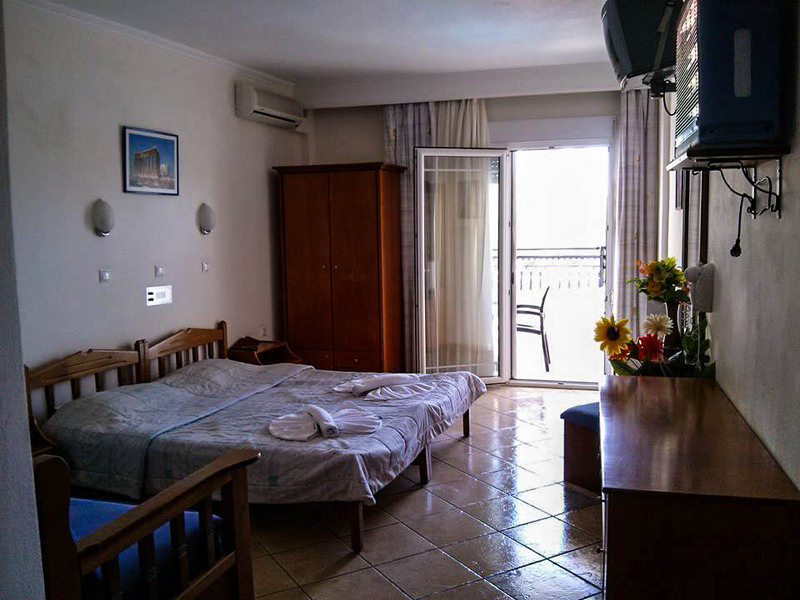 Apartment is located on the second floor and has two rooms, separated by wooden glazed partition wall. 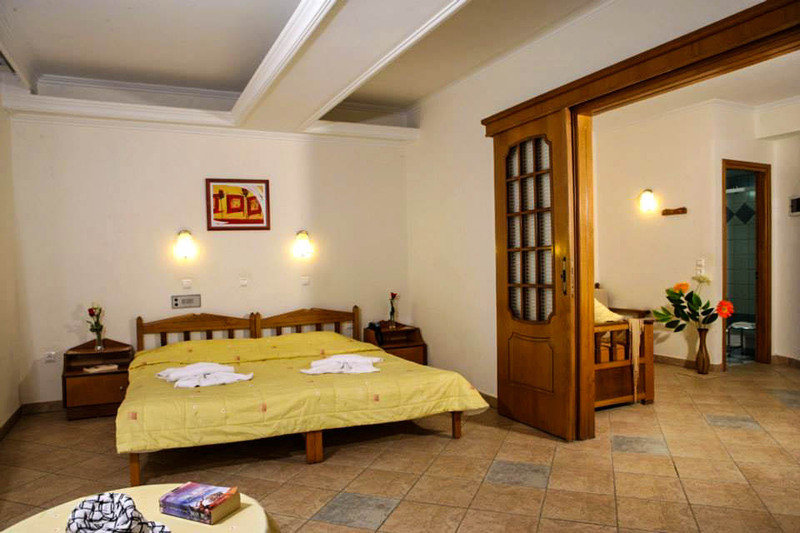 One room is with double bed (180x200 cm) and a living room area with a recessed fully equipped kitchenette, dining table and chairs, a double sofa bed and an armchair bed. 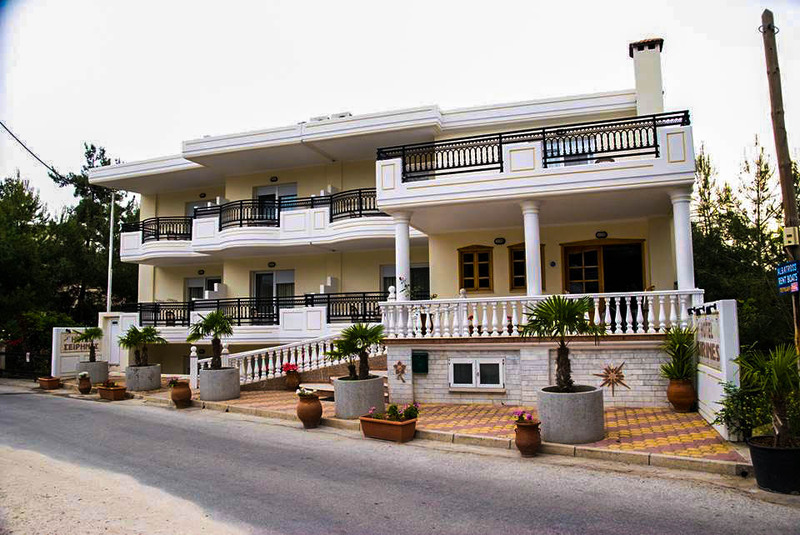 It has a big balcony with sun beds and sunshields, facing the park and the street. Hotel rate includes bed and breakfast. 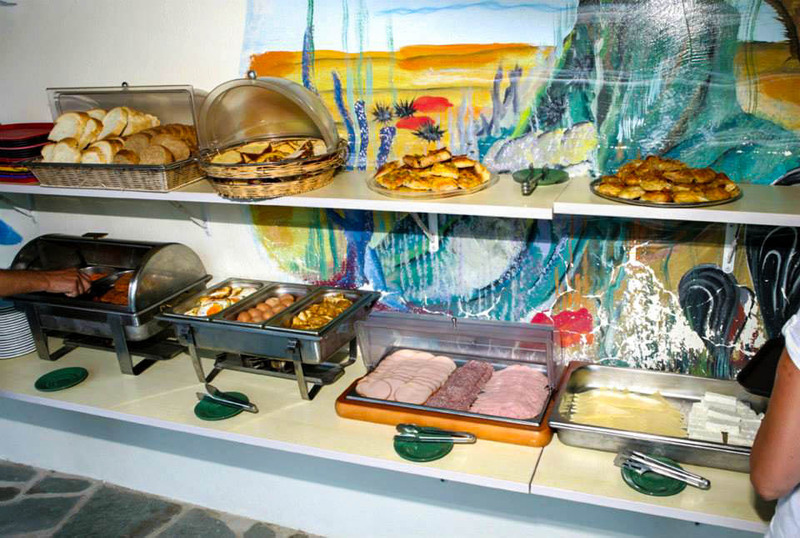 The standard breakfast is an American breakfast buffet. There is a laundry washing machine on premises for guests to use.